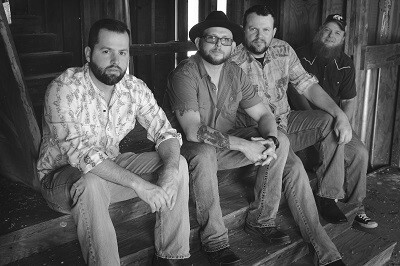 THE WHISKEY PROPHETS: Founded in 2010 by singer/songwriter Brad Roberson; the band has had a few evolutions to the roster since it's creation. However, today the Americana, alt-country band from Texas is comprised of singer/songwriter Brad Roberson on rhythm guitar, John Hosford on lead guitar and supporting vocals, Todd Kelley on bass and supporting vocals , Mike Norris on drums, and Chris Gilcrease on lap-steel / dobro / pedal-steel. Pulling from a melting-pot of influences from songwriter roots music to classic country and rock, the Prophets take a page from the books of power-house, songwriter bands like Jason Isbell, Chris Stapleton and American Aquarium. The Whiskey Prophets are a thick southern dose of Americana awesomeness with a powerful sound all their own and great writing to boot. The rookie band released its first full-length CD in the Spring of 2011 and followed it with their 2nd album in 2014. The sophomore album was an evolution by way of music composition and by way of musicians but similar in it's raw production. The band is built on original, confessional lyrics but this album offered their first cover song "Highway Junkie", a high-energy rendition of the Chris Knight classic. Their 3rd studio album, Gasoline Diary, was released in 2016. This album offered 11 new originals with a higher degree of studio polish. Gasoline Diary delivers not only in studio mastering, but the album also ranks high in lyrical content with the confessionals songs we've come to expect coupled with metaphoric narratives of emotion and perseverance. Whiskey Prophets are currently recording their 4th album. The sound is bigger, the vocal harmonies are bigger and the writing compelling. Anxiously anticipated for an early 2019 release, the band is hard at work and great things are coming for Whiskey fans! Please vist their Facebook page. Hima R. Reddy, M.D., F.A.C.R. 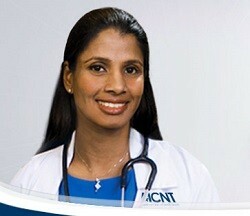 is Board Certified in Rheumatology and Internal Medicine by the American Board of Internal Medicine. In her childhood, she watched her ailing grandmother go through a lot of suffering. This inspired her to be a doctor. When she saw how Rheumatic conditions can affect the quality of life of young and old alike, she felt that she could make a difference in the lives of these patients and their families. Born and raised in India, she has lived in Dallas/Fort Worth for the most of her time in the United States. Dr. Reddy enjoys doing creative projects and reading. In summer, she enjoys gardening and going on road trips with her family. She is married with a daughter and a son and lives in Flower Mound. Christina noticed her feet and hands hurting & swelling in early to mid-2007. She would use her parents foot massager as it was the only thing that reduced the swelling and pain. While visiting California in 2007 she had to see a doctor and thought, “why not have them test for RA?” She was told it would likely be a negative test result as the RA had to be fairly-severe to cause a positive result. The diagnosis was positive for Rheumatoid Arthritis and was advised she needed to see a Rheumatologist. One of her doctors, Dr. Axthelm would later prescribe methotrexate and she was amazed at how the medication reduced the pain and inflammation. 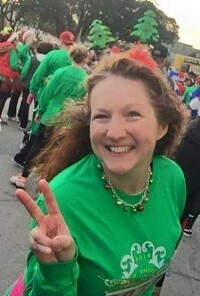 Christina lives an active life and her desire is to bring an end to Rheumatoid Arthritis not just for herself but for all those who live with severe pain on a daily basis and are unable to lead normal lives, so she joined the Jingle Bell Run Committee in 2017 to be a voice and a champion in the fight. To donate or join Christina's RA Conquerors click here. LaTerrick (Ricco) starting getting fevers and swollen joints at 9 months. After years of visits to the pediatricians and the ER, only to be told it was an ear infection, his family finally got a doctor to run more test. March 2011 he was originally diagnosed with JRA, Juvenile Rheumatoid Arthritis. After genetics testing later in 2011, his diagnosis was changed to FMF, Familial Mediterranean Fever, which is still in the rheumatoid family. His family learned how to manage with FMF, but after he broke his arm in September 2017 at a football game, life changed again. October 2017 Ricco was diagnosed with SJIA, Systemic Juvenile Idiopathic Arthritis. 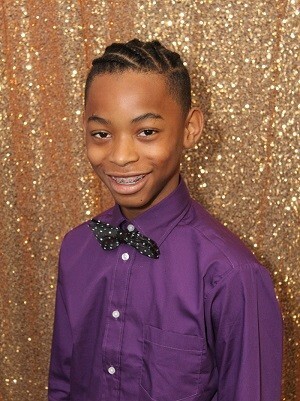 The Arthritis Foundation and his amazing doctors have helped Ricco learn to manage his symptoms, and thanks to his sense of humor he has found a way to adapt as a teen. Ricco wants to raise awareness to the fact that kids get arthritis too! He is determined to raise money to help find a cure. To donate or join Ricco's Warrior click here. In May 2017, Caroline started taking her first steps around 16 months old. Her gait was extremely wobbly and looked quite painful, but there wasn’t any immediate cause for concern until she stopped using her left arm to crawl one day. 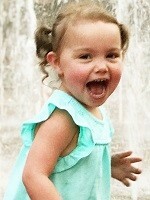 Since there hadn’t been an injury, her pediatrician wanted to start ruling out all the “what if’s” ASAP. That day was the beginning of a very long six months to find answers to her troubles and cause of pain. At the end of September 2017, we found ourselves hopeful for answers at Scottish Rite Children's Hospital. After a physical exam, labs, and imaging, Caroline was diagnosed with Juvenile Idiopathic Arthritis (JIA) Psoriatic Subtype. Doctors found inflammation in the major areas of concern (her arms and legs). This diagnosis finally explained why could still barely walk and they began her methotrexate treatment immediately. A year later, Caroline is RUNNING and JUMPING! She can keep up with her little buddies for the first time and there is nothing stopping her. Thanks to her wonderful doctors and all of the Arthritis Foundation’s family resources, our familyhas felt so supported and cared about on this journey. To donate or join Caroline's Team click here.